Spring has sprung and that means that it’s time to start enjoying the beautiful weather. Most families tend to get together more during the summer. And with the added family get togethers that means there’s an increased need for great recipes to treat everyone to. Summer brings lots of amazing fruits and strawberries tend to be in abundance. That’s one reason why we think it’s important for every family to have a strawberry cake recipe on hand. You’ll love how this cake is light, fluffy, and fruity. It’s the perfect complement to a hot summer day of family fun. 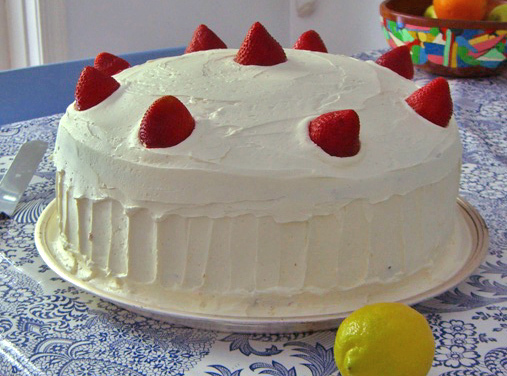 Whether you’re packing a picnic or hosting an Independence Day BBQ, this cake will be a hit with everyone — even the most picky eater. This recipe comes from tasteofhome.com. Are you looking for a new single wide or double wide manufactured home for sale? Contact us. We can answer your questions and make sure you have the information needed to find the best home for you. We can also assist with manufactured home financing.